Slated for demolition, East High School, with its prominent location on Broad Street, once seemed like a lost cause. 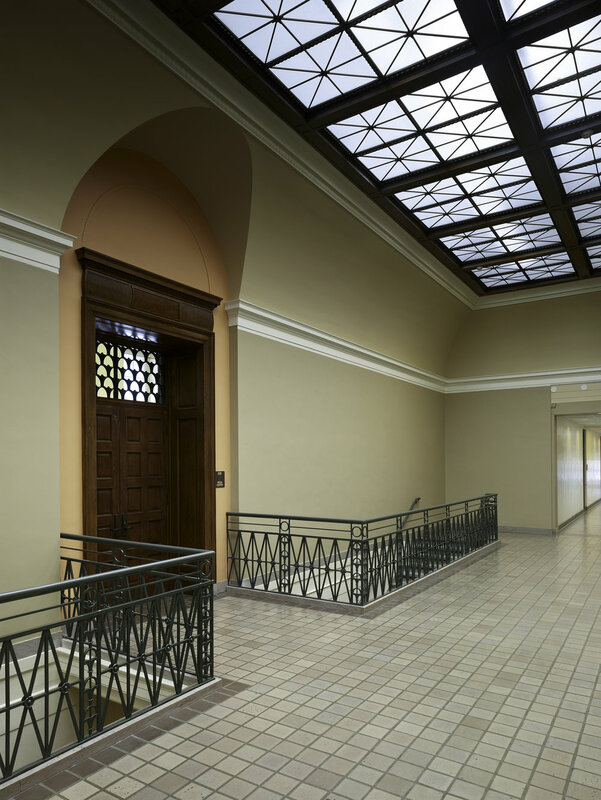 However, the decision was made to reuse the building and add on to it, and the result is a one-of-a-kind building that is loved by students, faculty, and the community. 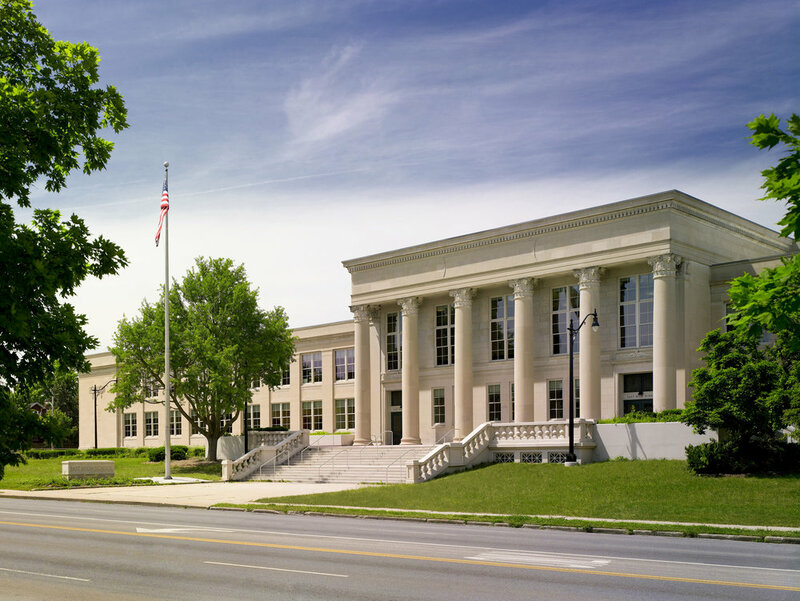 This 134,576 square foot, three-story urban school is an excellent example of Neoclassical architecture designed by Howell & Thomas architects from Cleveland. The building was completed in 1922 and was the first of five high schools built in the 1920s by Columbus City Schools. It is a contributing building in the East Broad Street Historic District, listed on the National Register of Historic Places. 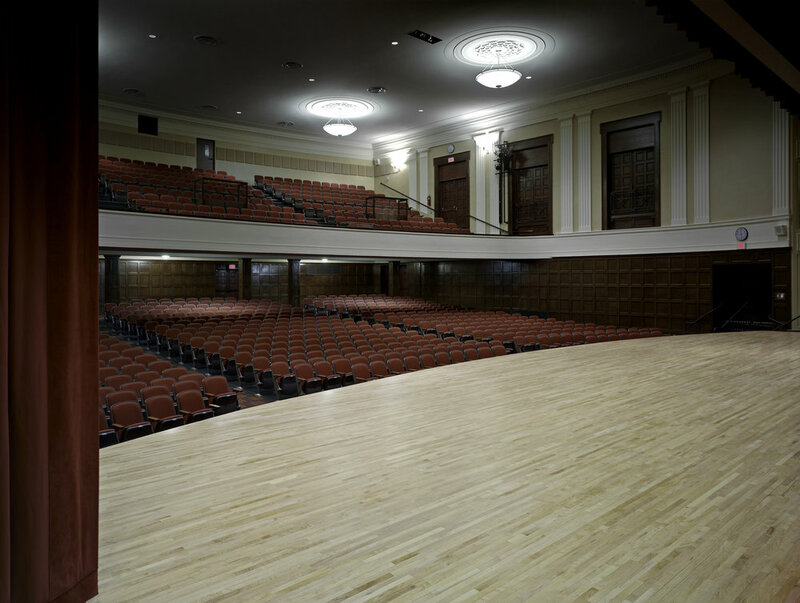 Schooley Caldwell provided historic preservation design and mechanical and electrical engineering for the renovation and expansion in association with Moody-Nolan. 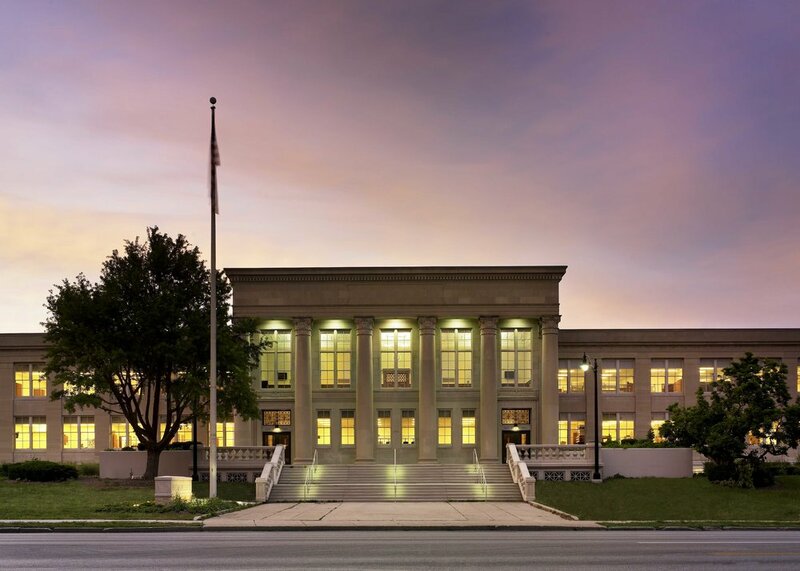 Specifically, Schooley Caldwell was responsible for the exterior facade restoration design and the design of a significant addition that provides a new gymnasium with bleachers for 1,200 as well as a new circulation atrium. The atrium allows easy access to all public school functions but also serves to separate the new addition from the existing school. 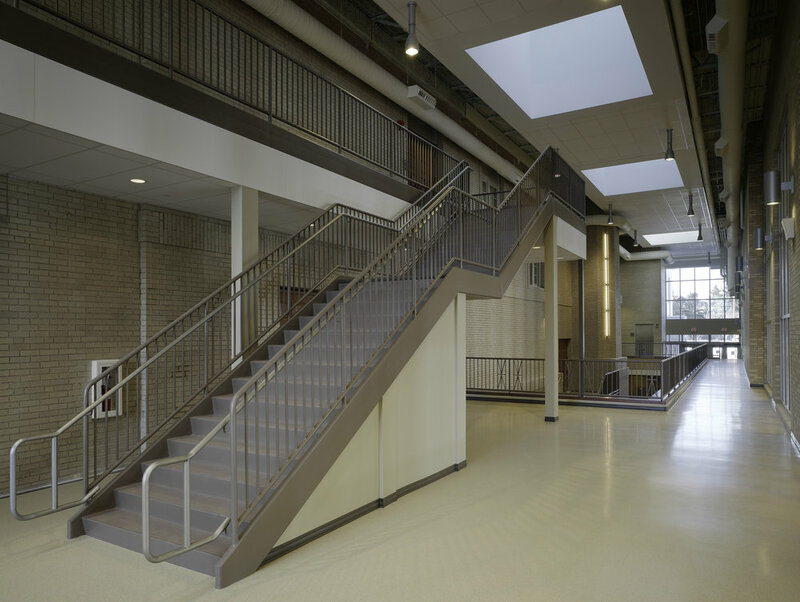 Keeping students safe was obviously of paramount importance; safety is provided through sprinklers, fire separation and smoke removal systems, and student security is enhanced by the openness of the public common areas, corridors, and stairs.